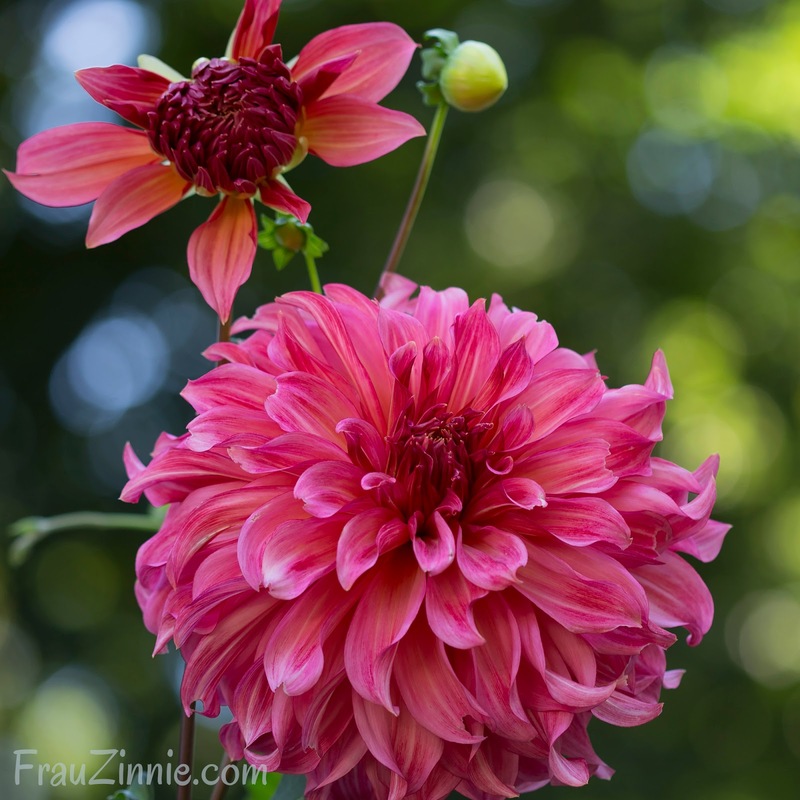 Nothing could prepare me for the height that 'Islander' dahlia would reach this summer! The strong, sturdy stems were taller than me, reaching skyward with the large raspberry dinnerplate blooms. To photograph, I had to get my step ladder out of the garage, and even then I was not high enough — 'Islander' still gazed upward. 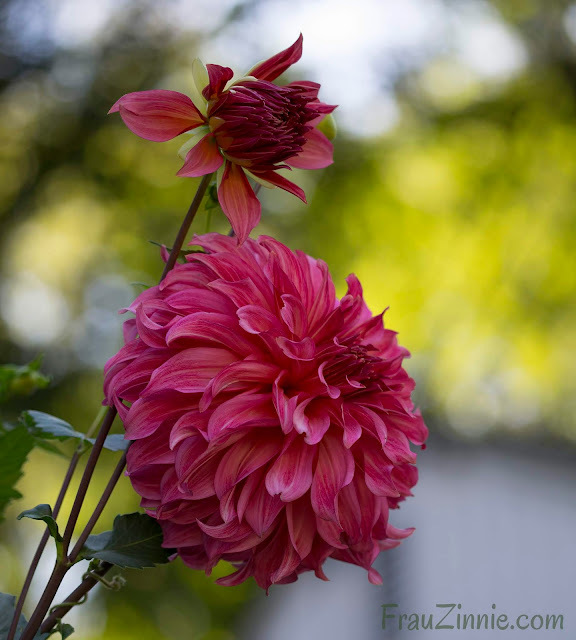 I purchased this dahlia tuber earlier this year from Floret, and it is one I definitely plan to keep and try to divide for more plants next year. 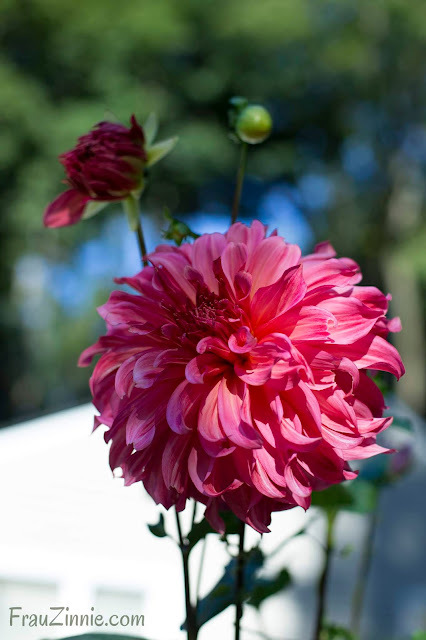 What varieties of dahlias do you grow?